So, me and Anahi were gettin’ real close and all that stuff. I’ve been acting like a total nerd ever since I met her. I even asked her to be my girlfriend and she agreed – score! I knew my next step was a very adult one (so unlike me) so I went to the only adult I was close to: Frankie. 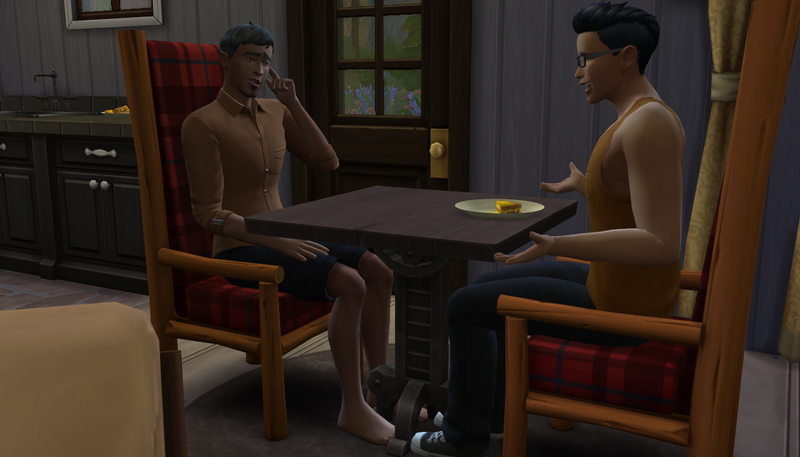 Frankie is this oddball dude I met when I visited Granite Falls a while back to meet up with this Hermit woman. Turns out she wasn’t there and Frankie was in her place. Whatever. He’s a good guy but kinda weird. He’s not an old geezer but he’s got a full head of gray hair. He doesn’t wear shoes and his ears are funky looking. If I believed in fairy tales I’d say he was an elf. Anyway. 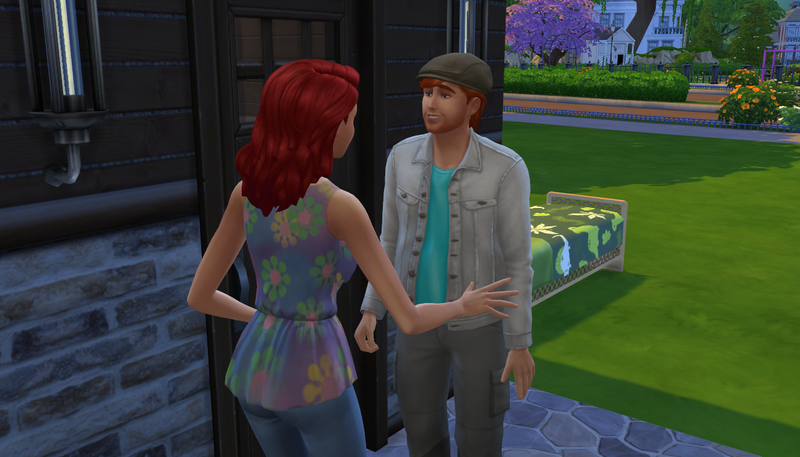 I decided to visit him and talk to him about marriage. I wanted to make sure I was making the right choice. Frankie said he didn’t know much about marriage, actually. 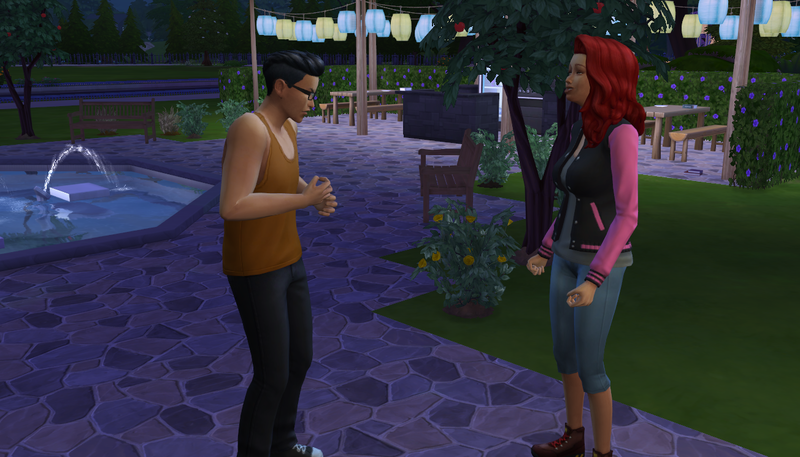 What he DID tell me, though, was that I should know all three of her traits before I ask her to marry me. What, only three? I mean, people have lots of traits, not just three… OKAY, I did tell her before what my top three were, but… well… actually, hear me out. 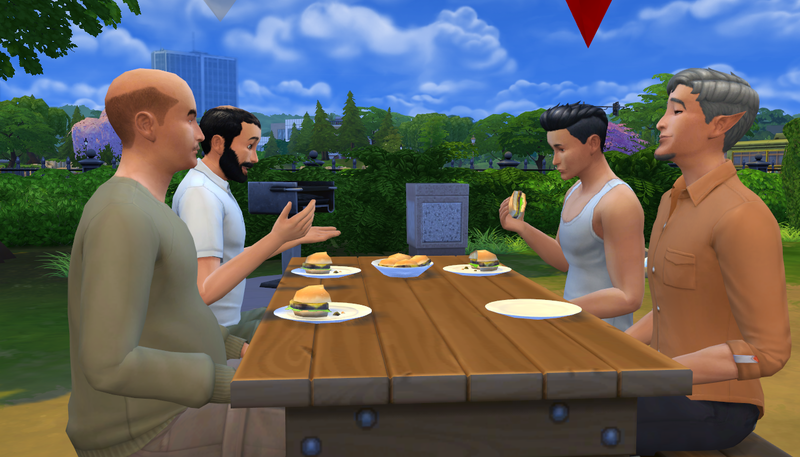 ANYWAY, I knew I needed some more help from other guys so we met some of Frankie’s friends in the park. They asked the basic questions: Is she pretty, is she crazy, some other stuff… In the end they gave me some OK advice. Much less freaky than Frank’s (despite the personal questions). Cut to the chase, but… I proposed! I didn’t take the guys’ advice and asked about her last trait. I loved her way too much to back out of it at that point! It would be like me asking her how many guys she woohooed with before me (none, ha!). …and this is her mom. This punk is her little brother. 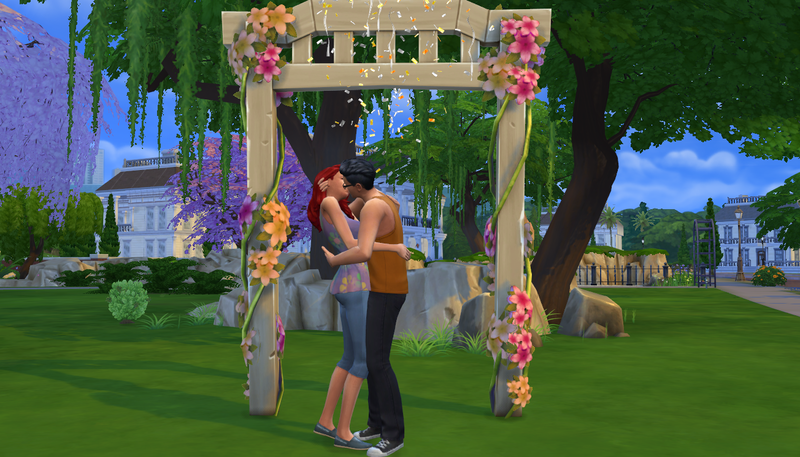 I added a wedding arch because I knew it would be a place that future couples could enjoy in the park plus we would have a nice memento of our wedding. I’m not actually one for weddings. I mean, I’ve been to all of my siblings’ weddings so that’s what, five? Suzu isn’t married. I don’t know if she’ll ever marry. She has a boyfriend who’s a ski instructor or something up in the mountains. She’s still writing her book. Whatever. Back to Anahi and me. …and just like that I became a married man! So fitting that the hermit man is game-aware! And I liked the little mention of Suzu! I was playing in CAS tonight and discovered you can make your own elf ears! Isn’t that crazy? LOL! I love it! “Hates children!” Perfect… plus your hermit is awesome. And I love you worked in all the game-awareness stuff! Spoiler: When August and Eddie aged up they both earned elf ears! August’s girlfriend also has elf ears! And did I mention Anahi has elf ears, too? It’s in the family now! LOL! I didn’t know Anahi had elf ears! Her hair covers it, right? 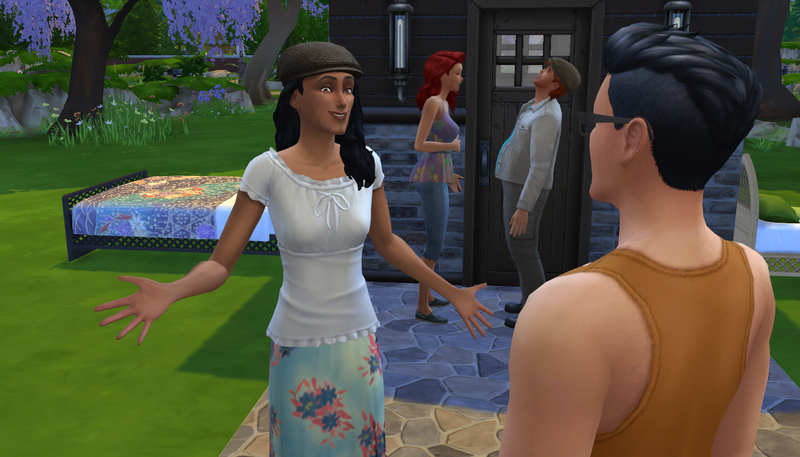 Is she a game-generated Townie, or did you make her? Townie!!! And it turns out that one of the mods I downloaded had the ear slider adjusted so even though I thought it was an EA thing turns out it was a modder! Ohhhh…. I was so hoping it was an EA thing. Well, aliens have elf ears! 🙂 And that’s so cool and awesome that you have elf Townies! Very fitting for the sort of nature-themed start to Build Newcrest! OH NO!! 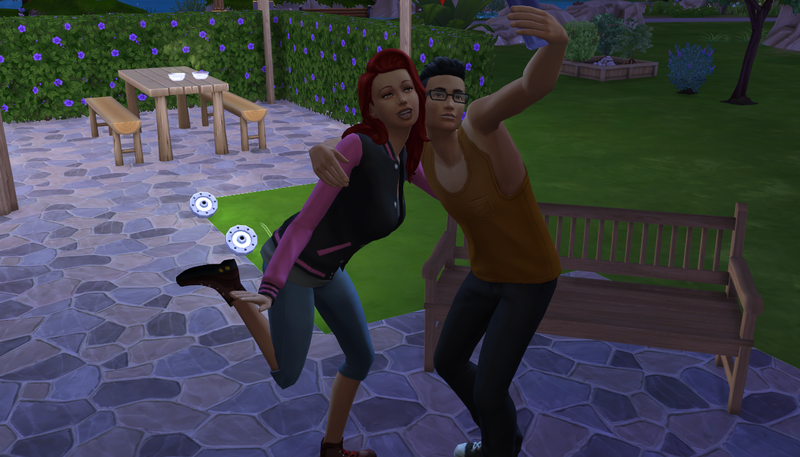 I just had Paolo hook up with this random girl in my game got her knocked up and she hates children too, so hysterical!! Oh, Frankie! I missed seeing him around. 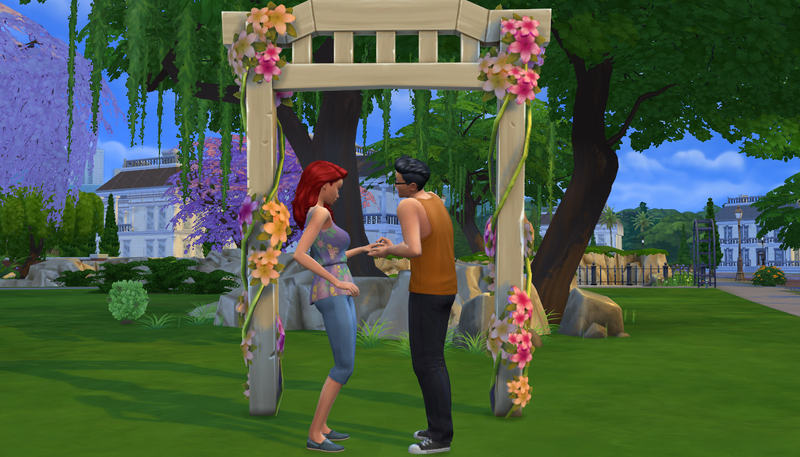 And their wedding was so sweet and simple. Super meaningful!